“RE-SYMBOLIZATION of the Self” Book Review | MY SACRED JOURNEY . . .
© 2009–2019 Katrina Wynne, all rights reserved. Nothing herein may be copied, reprinted, reproduced, or retransmitted in any media format without express written permission of the author. Excellent choice. 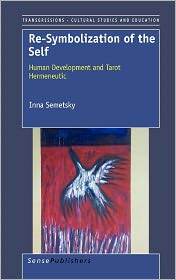 Semetsky offers a scholarly view of the “Archetypes” in Tarot.